SageGlass makes windows that can be tinted by applying a low electrical voltage—and that means they can be controlled by all manner of electronics, including the wireless devices and software systems that make up the Internet of Things. The technology, which has been more than 20 years in the making, adds a few miniscule layers of ceramic to the outer pane of a window. When a voltage is applied, electrons and lithium ions flow from one layer to another and take on different properties, producing a darkening effect while keeping the window translucent to preserve the view. In its “clear” state, a pane of SageGlass lets through about 60 percent of the visible light that strikes it—less than normal windows, but still plenty bright on a sunny day. In the fully tinted state, it can let through as little as 1 percent. At the same time, tinting blocks the majority of the sunlight’s heat from entering the building as well. A full transition can take about 10 minutes, but the windows can be set to let through any amount of light between 1 and 60 percent—so in practice, most transitions are incremental and therefore faster. SageGlass windows can be controlled manually with a wall switch or automatically through the same building control systems that handle lights, alarms, and other infrastructure. In the latter case, they inherit any options for manual control and wireless connectivity that the building provides. The company also offers SageGlass Unplugged, which adds solar panels and a wireless interface so the windows can generate their own power and can be controlled directly by users with the SageGlass mobile app. However the windows are connected, they can be combined with sensors and cloud platforms for sophisticated kinds of automation like following presets that keep a consistent amount of light throughout the day, reacting dynamically to the presence of occupants, or letting users make direct adjustments to suit their needs. Zones of independent tint levels can be set up among groups of windows, or even between different sections of a single pane. SageGlass provides a number of benefits—occupant comfort, reduced heating and cooling needs—but perfect privacy isn’t really one of them. Even in its darkest state, it’s still possible (but difficult) to see through the glass. For an Internet-controlled window that can instantly “frost” itself to block some light and create a more reliable privacy screen, you’ll need to turn to technologies like Sonte Film. 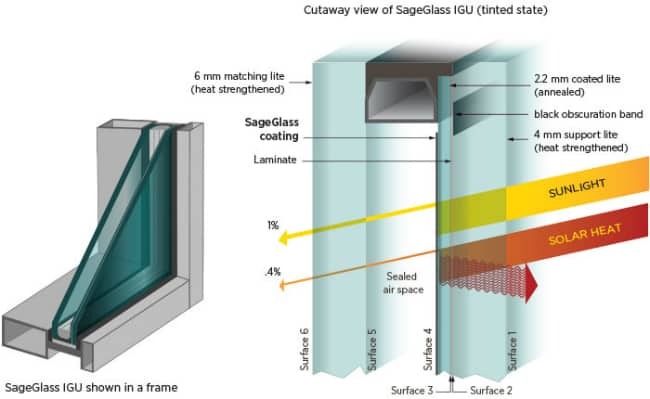 SageGlass has been installed in dozens of institutional buildings across the U.S. and around the world. Have a look at the video below to learn more. 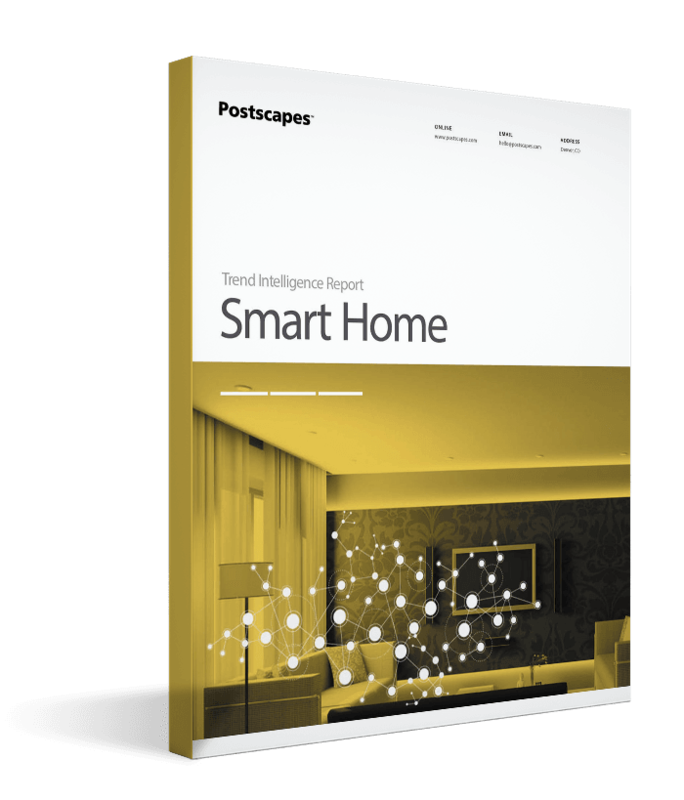 View the new use cases, technologies and products shaping the smart home market and your business trajectory.